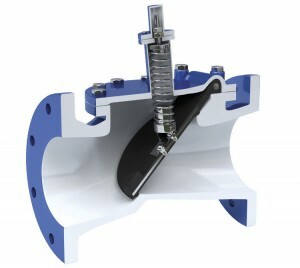 Rubber Flapper Swing Check Valves feature a unique, simple design with only one moving part. 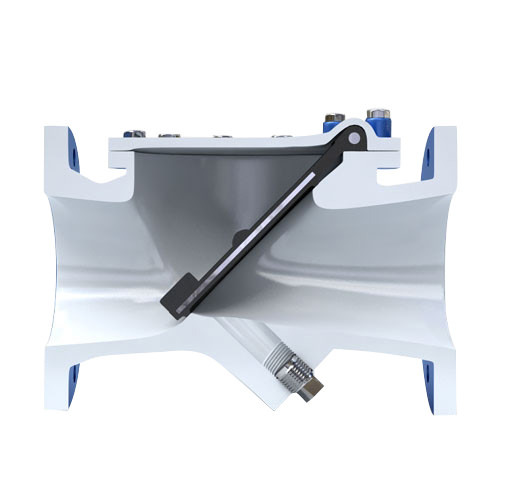 The flapper does not swing from a hinge pin; it simply flexes open. The seat is on a 45° angle. 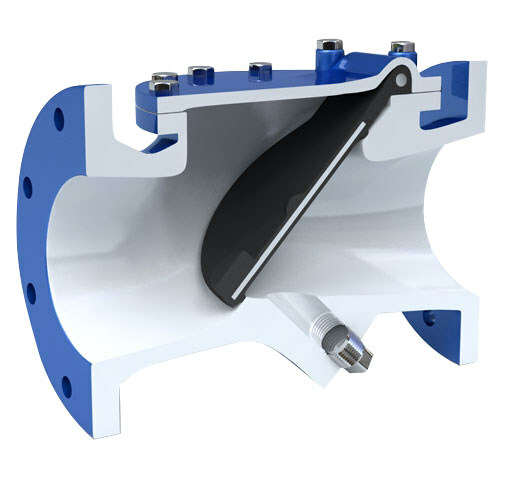 The flapper travels 35° from open to closed, usually before column reversal can occur. It has non-slam characteristics. The valve requires no regular maintenance. Recommended for water, sewage, gas, oil and rubber lined for chemicals. 100A = 250 psi CWP (1720 kPa).